Cloud computing is the future of IT. It’s a game-changer that is setting a whole new paradigm for our industry. CIOs and high-level IT executives across all market verticals are expected to put a plan for cloud in place, or better yet, to have already put it in motion. However, the emergence of various cloud service and deployment models is making it difficult for enterprises to pinpoint those models that best fit their business objectives. In order to really understand how to effectively leverage the cloud, we need to look beyond the hype. A Convoluted Cloud: So, What’s the Real Deal? 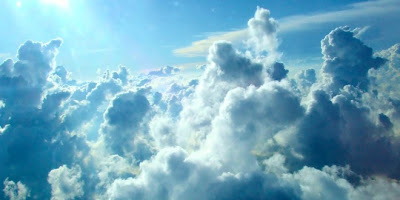 The word “cloud” brings to mind a rich blue sky, white, fluffy clouds and smooth sailing. Unfortunately, those are just the cumulus clouds. Any weather enthusiast would be quick to point out that there are in fact many different types of clouds, including stratus, cirrus and nimbus, just to start. Then, of course, there are cumulonimbus, nimbostratus, stratocumulus, altocumulus, etc. The list goes on. As InfoWorld's Ted Samson pointed out this week, Microsoft is intertwining Windows 8, Windows Phone 8, and Windows Azure to help developers build multiplatform, cloud-friendly apps. And it announced a batch of new services and functionality for its cloud platform, including the extension of Windows Azure Mobile Services to support for Windows Phone 8. The move should provide easy cloud-based mobile application development for those loyal to Microsoft platforms. Microsoft even provides a store to sell these Azure-built applications. But something's still missing from Microsoft's cloud picture. Over the past several years, technology has taken some giant leaps forward in terms of allowing businesses to better engage with their employees, customers, and competitors - and one of the biggest keys in providing companies with the means to do so is cloud computing. The term cloud computing - a concept that was unknown to the majority of the planet until just a few short years ago - has today become almost a household name. Cloud computing, regarded as a boon for enterprises, could rain on the party of distributors and resellers who are now an integral part of the technology sales ecosystem. In developed economies the community of resellers is already shrinking as software and hardware companies engage directly with enterprises. In India, where cloud adoption is just about gaining pace, the drizzle has begun. The European Commission says it thinks cloud computing can drive €900bn additional gross domestic product growth and create 3.8 million new jobs in the European Union, all by the end of the present decade. Of course one never quite knows what to make of such forecasts. Their premises are always subject to debate, while the validity of their suspiciously precise extrapolations is impossible to prove. Nevertheless, we can probably all agree that cloud computing will be important in Europe's future and is likely to bring significant economic benefits.